Tuneful, graceful and simply, huge, the amazing humpback whales are the virtuosos of the deep. 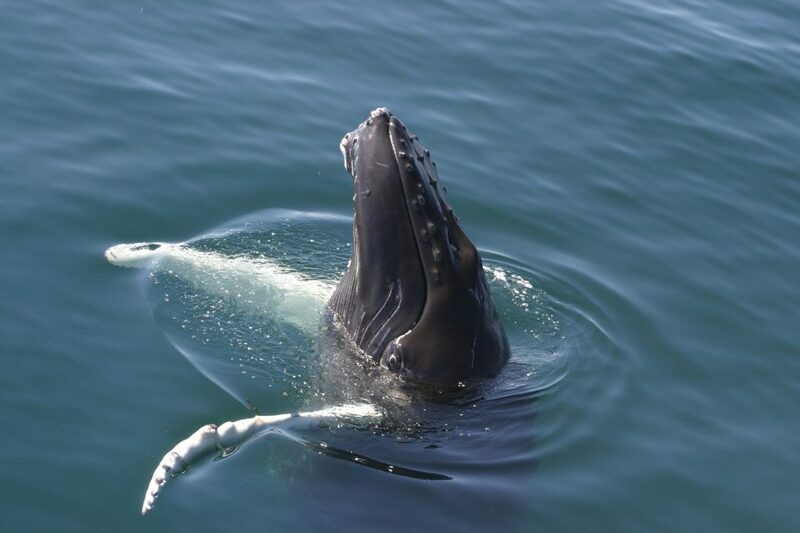 Singing some of the longest and most complex songs in the animal kingdom, humpback whales are masters of melody. As if that wasn’t impressive enough, they also undertake some of the longest migrations of any mammal in the world. Humpback whales are massive. Males are about 14 metres long and females even longer at 16 metres. Their huge, dark bodies are flanked by enormous pectoral flippers growing up to around a third of their body length. Fantastic tools, they use their highly-manoeuvrable flippers for hunting by slapping the water and for swimming and even possibly regulating their body temperature. Equipped with a giant tail, this is their identifying feature. When they ‘fluke-up’ and dive, researchers can identify individual humpback whales by the markings on the underside of their tails. Moving to their heads and humpback whales are covered in funny knobbles. Unlike Auntie Mildred and more like Sooty the cat, these knobbles or bumps are called tubercles, and contain a single hair acting like a cat’s whiskers. Providing a sensory tool, these hairs feed back information about the whales’ surroundings. What’s life like for a humpback whale? A year in the life of a humpback whale is a tale of two halves. Humpback whales are experts when it comes to travelling and devote huge portions of their time to being on the move. With half the year spent in colder, high latitude polar waters like Norway, they use this time to feed and fatten up. Following this period, they then head to warmer, shallow tropical waters, socialising, mating and looking after their young calves. Well-known for their underwater lullabies, male humpback whales are particularly vocal during the mating season. No-one knows for sure why this us but it could be that males are attempting to serenade potential female partners. Covering such huge distances, humpback whales are constantly exposed to a number of threats and must navigate a myriad of life-threatening dangers. These include whalers, fishing nets and ships. Like many other large whales, the prey of humpback whales are microscopic compared to their own bulking mass. Feasting on plankton, tiny crustaceans like krill and other small schooling fish, they gulp enormous mouthfuls of their prey and seawater. 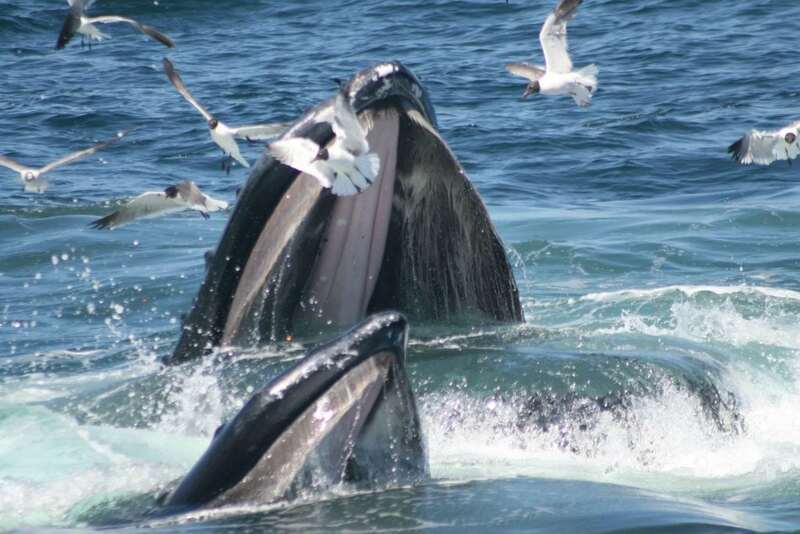 Using their baleen plates, they then filter out the water.. As you can imagine, due to their size humpback whales need to eat a lot of prey to survive. In fact, an adult humpback whale can consume up to 1360kg of food each day. 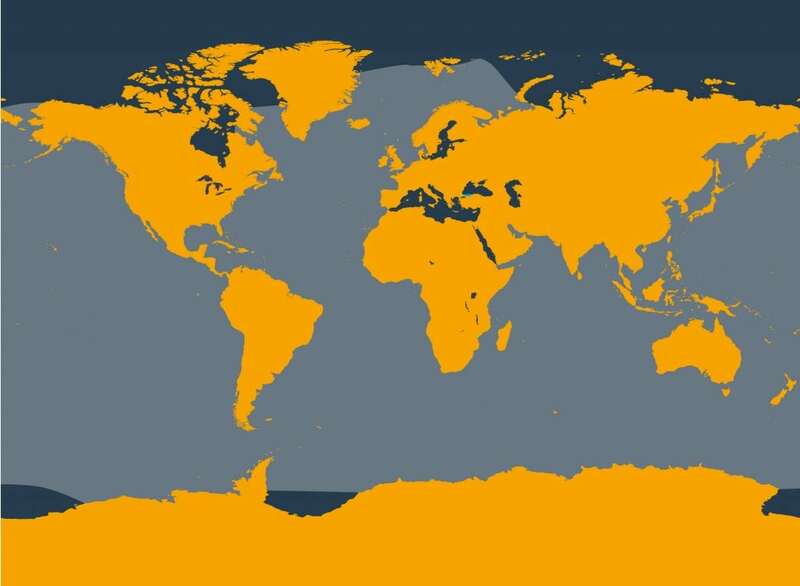 Where do humpback whales live? Humpback whales are found in all the world’s major oceans. Most populations undertake huge annual migrations, moving between mating and calving grounds in warmer, tropical waters, and feeding grounds in colder, more bountiful waters. Unfortunately, humpback whales were hunted extensively in years gone by, and still are in some places, such as the St Vincent and Grenadine islands in the Caribbean. In some areas, like the north Atlantic, their numbers are thought to be recovering, yet in others, like the north west Pacific, there is still a major cause for concern. Humpback whales make some of the longest migrations of any whale, travelling thousands of miles each year. In the northern hemisphere, whales feed in the cold waters of northern latitudes before heading south to breed in warmer waters. The same things happens in the southern hemisphere, only in reverse as the seasons are the opposite. It means whales in each hemisphere never meet one another. 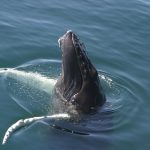 WDC's team in the US is at the forefront of efforts to protect the humpback whales that return from their feeding in the Gulf of Maine each summer. Humpback whales have developed some very novel ways of feeding. Using a technique dubbed ‘bubble-netting’, the whales herd their prey by exhaling air in a spiral of bubbles. The confused fish pack tightly together within these bubble nets, allowing the whales to swallow them down in one big gulp. 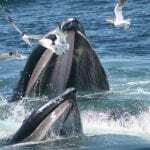 So skilful and adaptable are they that one particular group of humpback whales off the coast of Maine have adapted yet another approach. Known as ‘kick-feeding’, these whales kick or slap the surface of the water to disturb their prey before creating a bubble net. By doing this, they can entrap even more fish in an even bigger circle, earning them an even bigger mouthful! The Arabian Sea is home to a genetically distinct population of humpback whales. Until recently, this relatively small group of around 80 individuals was thought to remain in the area year-round. As it turns out, researchers have now identified at least one intrepid female venturing as far as the west coast of India. The movement of these whales serves to highlight how little we know about one of the largest creatures on earth. 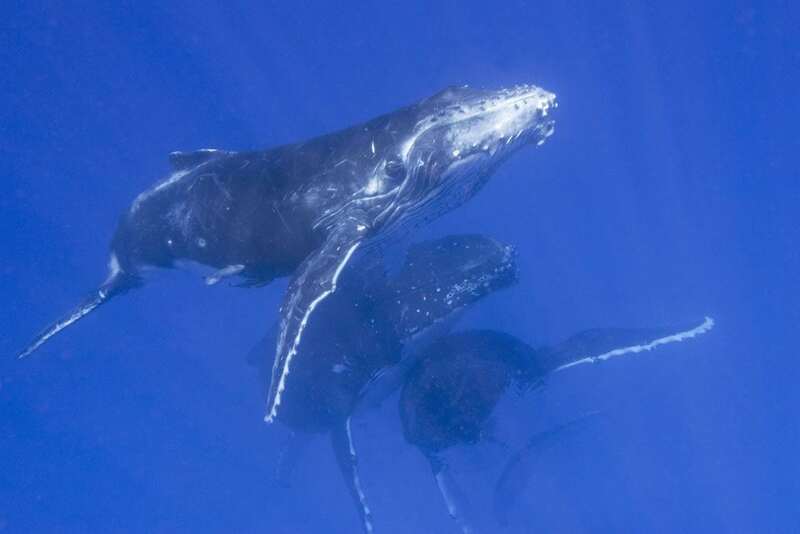 Humpback whales are still hunted in west Greenland and on Bequia, St. Vincent and the Grenadines. Whaling – humpback whales are still hunted in west Greenland and on Bequia, St. Vincent and the Grenadines. Ship strikes – humpback whales are highly vulnerable to injury by ship strike, a tragedy that is almost always fatal. 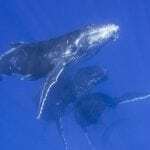 Fishing nets and gear – humpback whales often become entangled in fishing gear. Given their large size and strength, they can sometimes drag the gear for many miles, leading to a slow and painful death. By adopting a whale or dolphin, by making a donation, or by fundraising for WDC, you can help us provide a safe future for humpback whales.